Right now, our city is peppered with posters of the sunny yellow Believe in Bendigo kind. They demonstrate people’s belief in our city as a welcoming, diverse community. They demonstrate the power of collective action. They demonstrate printed collateral is just as important now, in the digital age, as it was in the protest years of the 1960s, ’70s and ’80s. 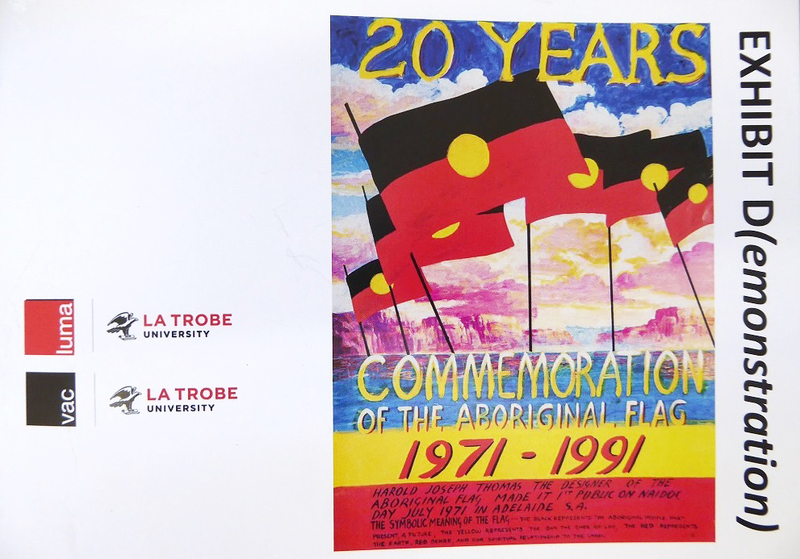 A new exhibition at La Trobe’s Visual Arts Centre takes such posters from the streets to the gallery. Take, for example, the Smash Racism poster promoting a Melbourne rally against Professor Blainey’s White Australia Policy. It’s one of the works to feature in Exhibit D(emonstration), celebrating a unique part of La Trobe’s heritage. The show is a tiny slice of the 3,800-strong Stuart Fraser Poster Collection. The former Professor of Education collected the socially and politically charged posters from the 1960s to the ’80s. However, many of the issues are still relevant today. Poster subjects range from Women’s Rights to Malcolm Fraser. A rally poster for International Women’s Day says “Stand up and be counted”. Bachelor of Education student from 1974, Tricia Caswell, was one of the show’s guest curators. This was her poster of choice. “Stand up and be counted could be my life’s motto,” she says. “It is one of those universals. It is one of the choices we always have.” She says those words give her hope that anything is possible. She says most of the demands listed on this poster for the rights of women are still not met. At the exhibition opening this month, parallels were drawn between the posters of yesteryear and the issues of today, many of the graphics, fonts and colours being the only retro elements. Exhibit D(emonstration) is part of the Exhibit A(lumni) series. It’s on show at the VAC until November 1.